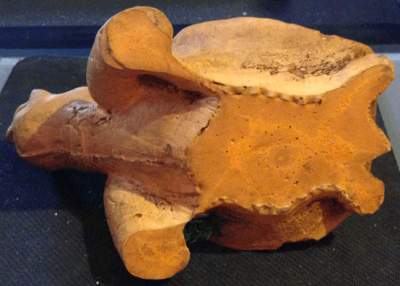 This tortoise was meant to be a lawn, yard, or garden ornament, and is made out of a heavy, stony, red clay-like material. 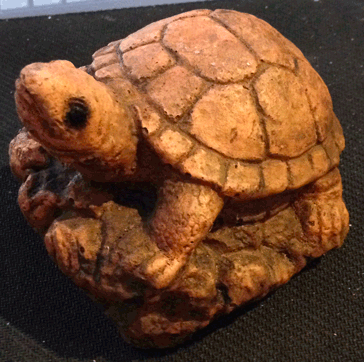 The eyes are painted with glossy black paint, and it also appeards to have had subtle shading painted into the cracks of the shell and on the rock it's sitting on. 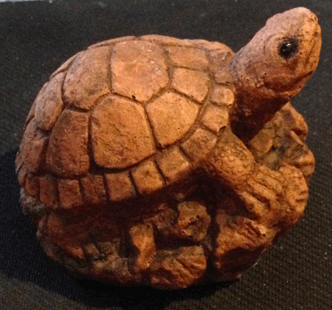 It stands less than 3 inches tall at the head, and is about 3 inches long and 2.5 inches wide. It weighs 1 lb, 3.1 oz. It's a very solid piece. 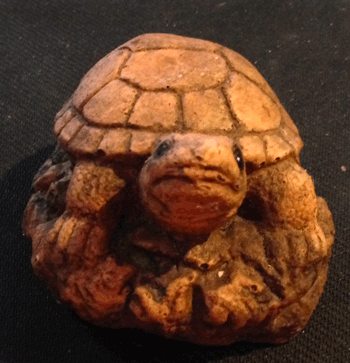 This turtle statue has no maker's mark. It is at least 30 years old. 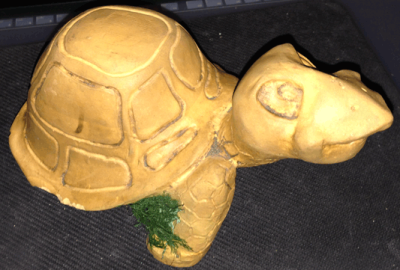 This tortoise has no maker's mark, and I'm not sure what he is made of - it's some kind of lightweight modeling material that looks like terra cotta or clay, but with a foamier feel to it. It's a solid, rigid material, not foam, but I'm guessing it's some sort of plastic or polymer. 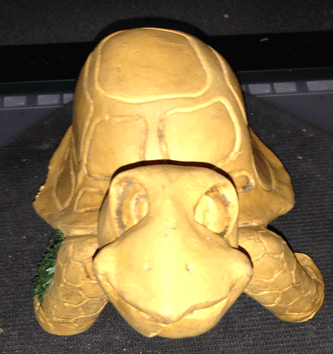 This turtle has a cute, goofy looking expression, and there is a piece of air ferm attached under it's right leg with a dab of glue. The fern is dyed green, as it's been in storage for the past 20 years it can't possibly still be alive. It's very dry and shedding it's leaves. It's an orangey beighe color with spots of dark brown in the indentations. 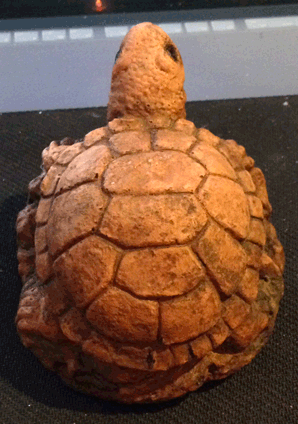 The shell is chipped on the right side and can be seen in the pictures. 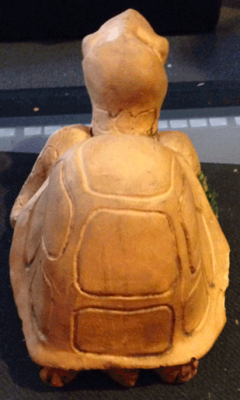 All other flaws are part of the original turtle's character. 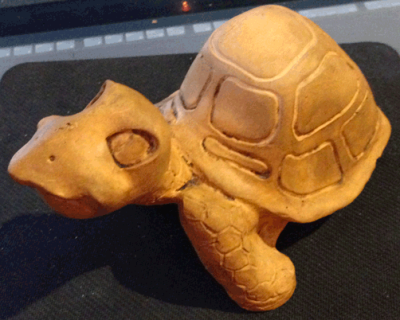 This tortoise stands 3.5 inches high at the head and is appx 7 inches long and 4.5 inches wide. It weighs 1 lb, 1.6 oz which is fairly light weight. This piece is at least 30 years old.